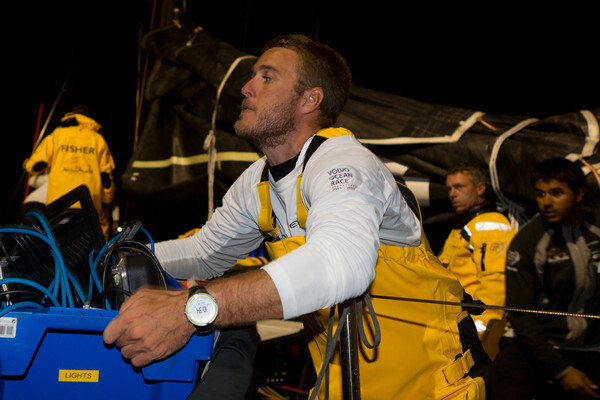 Abu Dhabi Ocean Racing are hopeful of resuming racing in Leg 5 within the next 24 hours after arriving back in Abu Dhabi to repair damage to their yacht Azzam. Ian Walker and his crew made the decision to return to the City of Sails five-and-a-half hours into the 6,700 nautical mile leg to Itajaí in Brazil when a bulkhead in the bow of their yacht Azzam, securing a crucial heavy weather headsail, ripped clean out. 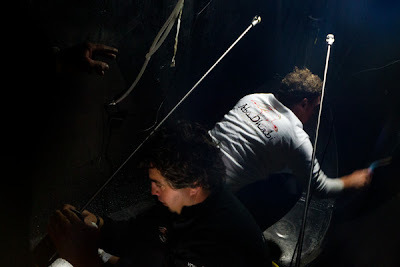 Rather than risk continuing, Abu Dhabi chose to turn around and carry out a full repair to the J4 bulkhead in Auckland. 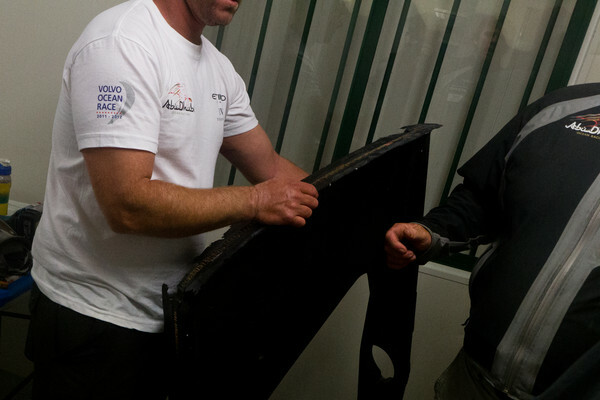 “I don’t think it was a structural threat to the boat, but it would have been a big repair to get the bulkhead back in and take the load of the J4 which is a sail we’re probably going to use 80 per cent of the time in the Southern Ocean,” Walker said. 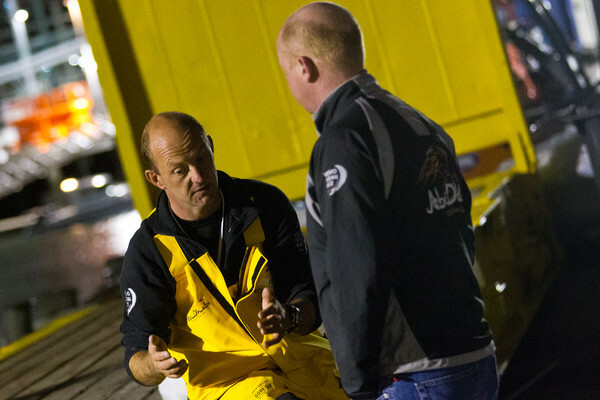 After suspending racing at 0630 UTC, Abu Dhabi were back on the dock by 1030 UTC where the boat was handed over to their waiting shore crew. “It puts us behind the fleet but it’s not disastrous,” Walker added. 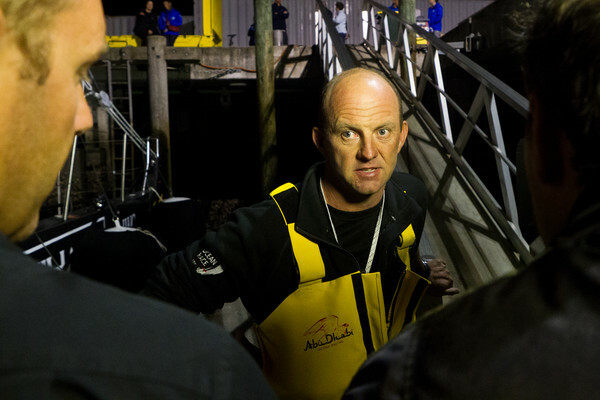 “The fleet aren’t getting away that fast, they’re heading upwind and they’re going to get a bit of a pounding tonight. “Looking 36 hours ahead there are probably faster conditions for getting out of here. Abu Dhabi team director Jamie Boag said the aim was now to get the team back out on the race course as quickly as possible. “We will try to get the boys turned round as quickly as we can and get them back in the race,” he said. 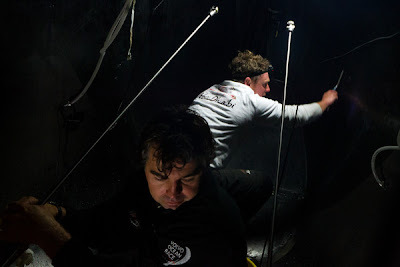 Leg 5 started from Auckland at 1400 local time (0100 UTC) on Sunday and sees the fleet race through the Southern Ocean, around Cape Horn and on to Itajaí in Brazil.